Girls, you have finally find the perfect gift for your boyfriends! 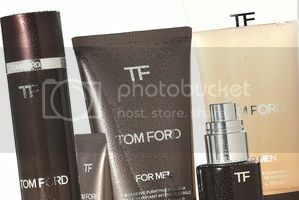 Boys' It's time to start to learn something about skincare from Tom Ford, who else? In one of the more directional moves of the season, Tom Ford has created a men’s skin-care line in the guise of a male grooming collection, including a Skin Revitalizing Concentrate, priced $150, and an Oil-Free Daily Moisturizer for $105. It is all part of Ford’s master plan to build a luxury goods empire, which is well under way. LONDON — Hawk-eyed Tom Ford is famous for his attention to detail, but that can sometimes be a curse. Most men shuffle past each other every day with barely a glance. Ford, instead, sees broken capillaries on the sides of noses and lips that are chapped and dry. “And I think: ‘Ugh! Who would want to kiss those lips?’” said the designer, who later this year will launch his first men’s luxury grooming collection, aimed at remedying men’s everyday skin problems. Ford, who has most recently been using products from his women’s beauty line, said that he loves skin care so much he could easily have come out with 20 products at the launch. And there are more products to come — including shaving cream. What he’s launching now are the basics. Tom Ford for Men will launch this fall with six multifunctional, high-performance skin-care products and two grooming ones, based on years of Ford’s own research trailing every manner of men’s and women’s skin care products. Ford also has two new Private Blend Oud fragrances in the pipeline, Oud Fleur and Tobacco Oud. Since Ford inked his deal with the Estée Lauder Cos. Inc. in April 2005, the brand has “charted a different path” and gone from co-branded women’s fragrances with the Estée Lauder brand to a global beauty player, noted John Demsey, group president of the Estée Lauder Cos. “You’ve seen the evolution of Tom Ford from an ideation to a full-fledged beauty brand which is global in scope,” said Demsey, noting that the evolution has included the addition of signature women’sfragrance and an artisanal fragrance collection to a full-scale beauty range. “Now, we are looking at what’s going to be a major play in men’s.” Demsey compared Ford’s laser focus on grooming with Leonard Lauder’s passion for building Aramis in the Sixties. 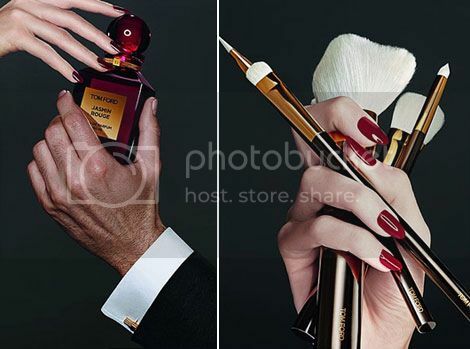 “Tom believes, and we do too, that there’s space for a Tom Ford point of view relative to men’s grooming that syncs beautifully with his Private Blend masculine side as well as the Signature fragrance brands. He said men generally tend to favor more abrasive-feeling products, ones that make their skin feel squeaky-clean and that they feel are working, whereas women are more conscious about being delicate with their skin. Ford has also created an Intensive Purifying Mud Mask, $60, which contains volcanic clay, and which he suggests using once a week. “It just sounds gross, but it’s not — and it pulls impurities out of the face,” he said. Then there’s the Oil-Free Daily Moisturizer, $105, which gives the skin a matte finish, and aims to reduce the look of fine lines and pores. The Anti-Fatigue Eye Treatment, $75, meanwhile, has a silver tip applicator that promises to cool skin and reduce puffiness. “You can feel it sucking your eye bags away and calming down the puffiness,” said Ford. Skin Revitalizing Concentrate, $150, which is the most expensive product in the line, aims to repair skin while a man sleeps, and to condition it before shaving. “It’s the most intensive treatment in the line — if you’ve been skiing all day, it makes the redness go away. It’s a key product,” Ford said. Indeed, the sporty Ford has brought his love of the slopes — and the tennis court — to bear on the collection. One of the two grooming products is a water-based bronzing gel, $48, which Ford uses to give himself a summertime post-match glow. “People think I am always tan, but I wear bronzer every single day. I use it on areas of my face that would usually get hit by the sun after a morning playing tennis. I put it across the high part of my forehead, and on my nose and cheekbones.” Ford’s bronzer temporarily stains the skin, and it’s no accident that it’s water-based. “If a bronzer is powder-based, you can see it in the sunlight. Most women’s bronzers are powder-based. This one mixes well with moisturizer — and it washes off.” Ford is near evangelical about the concealer, $40, which comes in three shades — light, medium and deep. “I know so many guys — gay, straight, whatever — who steal a woman’s concealer and dab a little on their fingers when no one is looking,” he said. “It just makes skin look better.” A lip balm, $25, rounds out the offerings. While executives refused to talk numbers, industry sources estimated that the skin-care and grooming collection could do as much as $2.5 million at retail globally — in a tiny distribution — for its first year on counter. 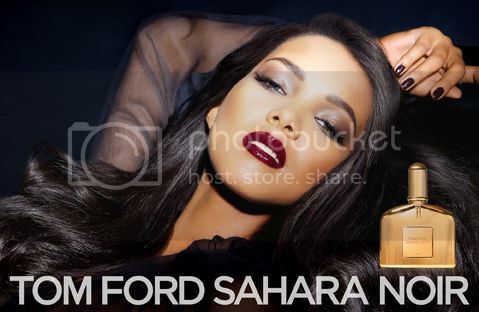 Like most of Ford’s products, the grooming line will be in “extremely selective” distribution, said Caroline Geerlings, global brand president of Tom Ford Beauty, Prescriptives online and new business. That equates to about 50 stores worldwide to start. 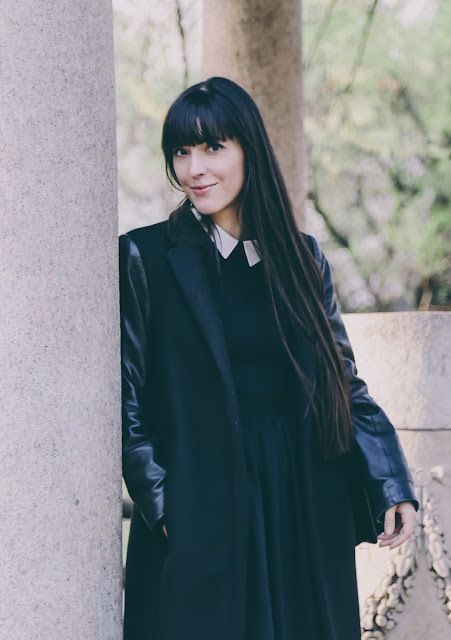 “We’re focusing on and targeting key fashion cities,” said Geerlings. Those include New York, where the grooming line will be exclusively at Bergdorf Goodman and elsewhere in the U.S. at Neiman Marcus; Toronto, at Holt Renfrew; in Paris at Le Bon Marché and in the U.K., at Selfridges, Harrods and Harvey Nichols, said Geerlings. As well, the brand will focus on having separate men’s and women’s outposts in these retailers. “The notion of a men’s articulated space separate from the women’s space — focused on demonstrated men’s beauty and grooming and fragrance, in addition to the bigger cosmetics entities — is really a different strategy,” said Demsey. “We’re starting it off the same way we started off with beauty — hyper-selective.” Select Tom Ford stores will also get the line. The significance of the launch lies in its directional nature, not industry sources volume estimates. Currently, about 40 percent of Ford’s overall fragrance business is done with men, split between Signature and Private Blend, said Geerlings. The new skin-care and grooming range is a step toward rounding out the brand’s men’s offerings. “We’ve been focusing a lot on women’s, so it was time to hone in on the men’s category,” she said. “We’re are looking for significant growth there — we plan to grow our men’s business by 45 percent next year.” The overall business is projected to grow 35 percent next year, added Demsey. 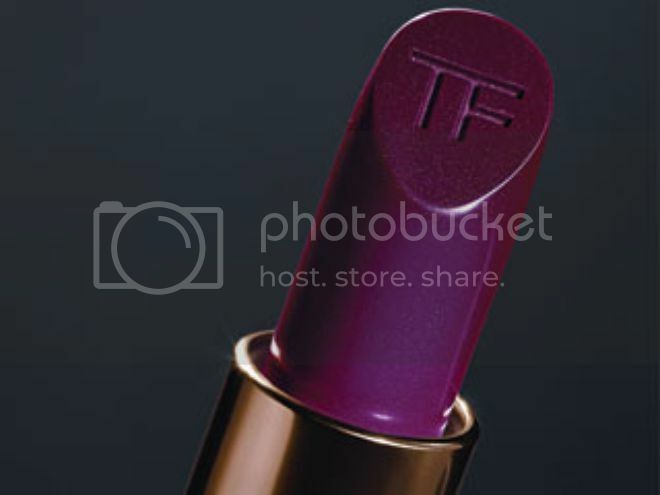 Neither Demsey nor Geerlings would quantify those percentage growths with solid numbers, although industry sources estimate that the Tom Ford beauty and grooming empire could generate worldwide retail sales of $275 million by the end of the fiscal year, June 30, 2014. Within five years, sources speculated that that number could rise to $500 million in global retail sales. Ford will add two oud juices to the lineup this fall. “I love Private Blend Oud Wood, and it’s a top-selling fragrance for us globally,” said Ford of the Middle Eastern-inspired scent, which launched in 2007. He added that the oud collection was conceived as unisex, but 30 to 60 percent of the customers buying Private Blend Oud are men. The latest oud Private Blend fragrances are also unisex, but will be marketed more as men’s scents. “So now there will be a balance for Private Blend, and it will float between men’s and women’s,” Ford added. The two new oud fragrances, Private Blend Oud Fleur and Private Blend Tobacco Oud, share the original Oud’s signature elements — oud, sandalwood and patchouli — then follow contrasting directions. While Oud Wood’s notes also include smoky birch tar, cistus heart, patchouli absolute and cedarwood Atlas, Oud Fleur adds incense, cistus, leather accord, ambergris, castoreum, Rose Bulgaria Orpur, Rose Absolute Morocco, Rose Absolute Turkey Orpur, ginger CO2, cardamom seed oil and Geranium Egypt Orpur. Private Blend Tobacco Oud teams oud with an idealized tobacco accord inspired by “dokha,” a blend of herbs, flowers and spice-laden tobacco that was smoked in secret five centuries ago during a ban on smoking. Fine tobacco dust absolute is intertwined with coriander seed oil, as well as roasted tonka organic absolute, coumarin, Spanish cistus oil, cistus absolute, cedarwood Atlas Orpur and castoreum. The collection of three oud fragrances also offers three bath-and-body products: Oud Wood Body Moisturizer, Oud Wood Shower Gel and Oud Wood Bath Soap. All three fragrances in the Private Blend Oud Collection come in warm gray versions of the signature Private Blend glass bottles. The bottles are packaged in warm gray boxes with a cross-hatched surface and a dark metallic gray label. The Oud Wood Body Moisturizer, Shower Gel and Bath Soap are also packaged in warm gray containers with dark gray labels that are stamped with silver font. A 50-ml. eau de parfum will retail for $210, with a 250-ml. bottle going for $520. A moisturizer, shower gel and bath soap — $65, $65 and $35, respectively — will also be offered in about 430 doors globally, mimicking Private Blend’s door count. About 115 of those doors will be in the U.S. “I love oud, and it’s a number-one selling fragrance for us,” said Ford. “The whole collection was conceived as unisex, but [at least] 30 percent of the people buying Private Blend Oud are men.” The Tom Ford Oud Collection could do $20 million in global retail sales in its first year on counter, according to industry sources. Private Blend will also gain Atelier d’Orient, a collection of four dual-audience Private Blend fragrances inspired by Asia and including ingredients from the ancient silk and spice routes of old. Launching in September (with a preview beginning in mid-July at Bergdorf’s), they are Plum Japonais, which blends saffron, cinnamon bark from Laos and Sawara cypress with ume plum, velvety plum liqueur and camellia japonica flowers; Fleur de Chine, which combines hualan flower, star magnolia, clementine, bergamot and jasmine tea notes; Shanghai Lily, a floral oriental with bitter orange, pink peppercorn, clove, jasmine and tuberose, and Rive d’Ambre, an eau de cologne with bergamot; lemon and bitter orange oils, and tarragon, cardamom and spearmint oil. Each scent retails for $210 for 1.7 oz. and $520 for a 250-ml. bottle. 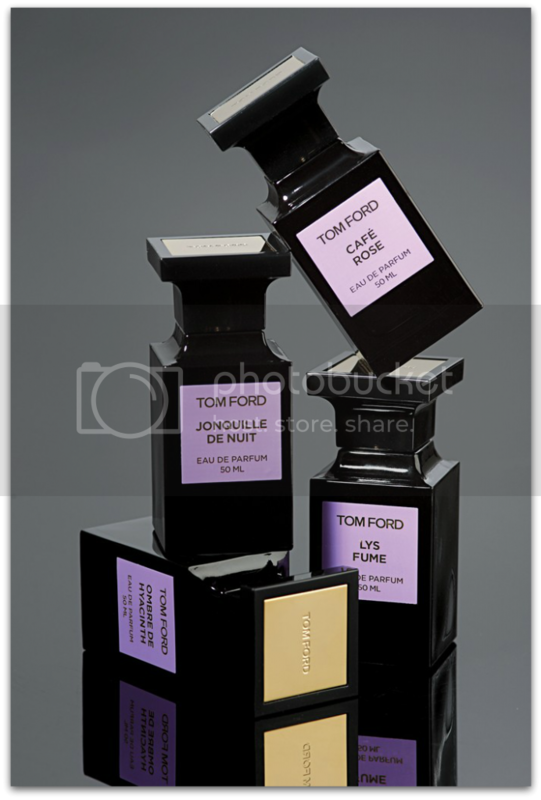 In celebration of Ford’s London flagship, the brand is also producing — what else — Tom Ford London, a Private Blend offering. 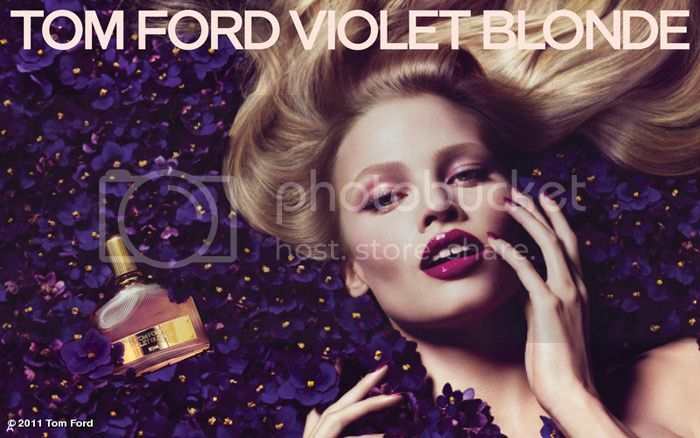 Geerlings noted that Tom Ford Noir eau de parfum, launched in September 2012, has doubled its sales projections. In response, the brand is adding an eau de toilette version in October. A 50-ml. bottle will retail for $75, while a 100-ml. bottle will go for $98. The original Noir eaux de parfum cost $90 for the 50-ml. size and $125 for the 100-ml. size. “To further broaden the appeal, we rebalanced the scents and played up the citrus and herbal notes,” said Geerlings. National scented advertising, breaking in October books including Vanity Fair and GQ, will support both the edp and the edt. Updated advertising for the brand’s Black Orchid fragrance will also launch this fall, and Signature will tiptoe into two Macy’s doors as a test in October, at Herald Square in New York and at Union Square in San Francisco. 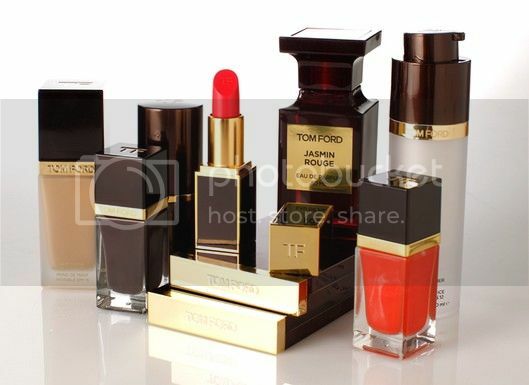 Tom Ford Beauty, the designer’s color cosmetics line, currently comprises about 150 stockkeeping units and more will be added for the fall. 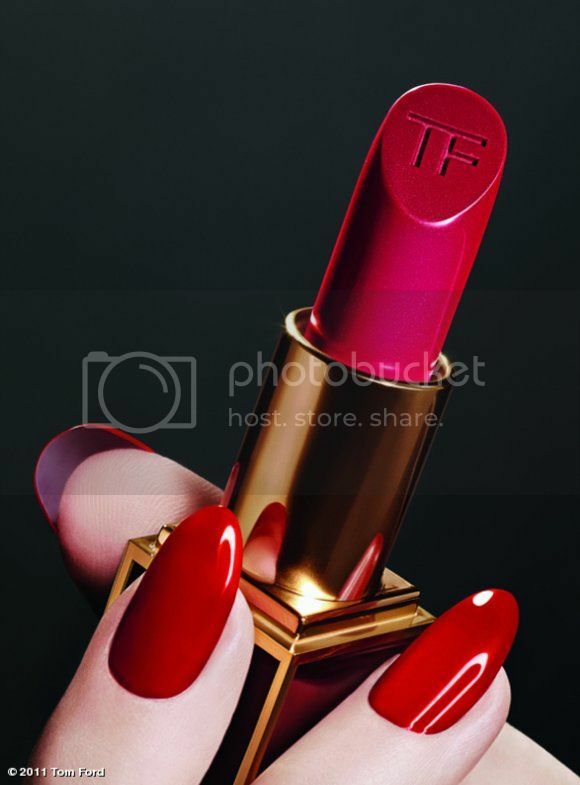 Lips are a key driver for the brand, with about 30 percent of the brand’s cosmetics sales attributed to the category and it is currently growing about 45 percent, said Geerlings. The brand is also hoping to ratchet up other makeup categories, and a key focus this fall will be on eyes, she said. Permanent additions to the line include a dual-ended eye product with a felt-tip liquid liner on one end and a brush on the other, which will retail for $55; an eye primer said to extend shadow up to 15 hours of wear, $45, and a lengthening mascara, $42. Cosmetics, launched in 2011, are in about 100 doors globally, including Neiman Marcus. The focus at Tom Ford’s spring men’s show on Tuesday was on the fashion — but it’s the business prospects of Tom Ford International that are coming to the fore for the investment set. The company, founded in 2005 after Tom Ford and Domenico De Sole exited Gucci, has been growing at a good clip and is rapidly expanding its store base to 100 stores by the end of 2014, up from the current footprint of 60-some doors. And the firm’s ambitions are to keep growing. “We want to be the number-one luxury brand in the world,” said chairman De Sole at a luxury summit in April. Now, an early investor might be looking to sell a stake in the business just as the market reawakens to the potential earnings power of high-end brands. The Américo Amorim Group, a Portuguese cork producer, bought a 25 percent share in Tom Ford in 2007 and is now believed to be reevaluating the position. Amorim made the investment with an eye toward forming a broader luxury business, but has instead focused on other areas, such as oil. By testing the market, Amorim or bankers hoping to work with Amorim might be trying to get a sense of what the stake is worth as investors zero in on luxe brands. Michael Kors Holdings Ltd., which plays in an adjacent market and went public in 2011, has a market capitalization of more than $12 billion. In a similar vein, a stake of Tory Burch traded hands late last year, valuing the company at about $2.5 billion, according to a source. Others are out testing the market as well. Coach Inc. hired Perella Weinberg to explore a sale of the Reed Krakoff brand, perhaps to a group of investors including the designer. There’s also been speculation that Marc Jacobs and LVMH Moët Hennessy Louis Vuitton could spin off the Marc Jacobs business in an initial public offering. For now, Tom Ford’s management is focused on building out the brand and the retail presence. Apparel revenues are estimated to be in the neighborhood of $200 million and the company has licensing deals with the Estée Lauder Cos. Inc. for fragrance and Marcolin for eyewear, which help keep money coming in as the expansion rolls on. Ford has moved to significantly raise the profile of the brand’s apparel in the last year, returning to the runway with shows for his men’s and women’s wear in London in January and February. In recent years, he had held presentations for his collections.